Tibetan’s spiritual leader called on Beijing to drop its ‘totalitarian’ policies and to adopt a ‘holistic view’ to resolve the Tibetan problem. Tibet's spiritual leader the Dalai Lama has blamed Beijing's "totalitarian" and "unrealistic" policies for the wave of self-immolations among Tibetans, saying the time has come for the Chinese authorities to take a serious approach to resolving the Tibetan problem. Thirty-three Tibetans have set themselves on fire since February 2009, challenging Beijing's rule in Tibetan-populated areas and calling for the return of the Dalai Lama to Tibet. The burnings triggered protests by Tibetans questioning Chinese policies which they say are discriminatory and have robbed them of their rights. 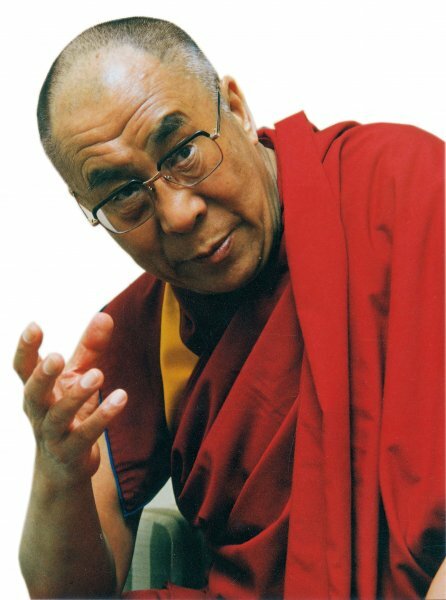 The Dalai Lama, who is currently visiting Hawaii to speak about tolerance and peace, described as "very sad" the self-immolations by the mostly young Tibetans. "I think this problem is not created by Buddhism, not created by Tibetan Buddhism culture [which is] very peaceful, very compassionate," the Dalai Lama said in an interview with Taiwanese broadcasting station Next TV. "This problem started from totalitarian, blind sort of unrealistic policy. So, the people who create that policy must think seriously about this—that's my response," he said when asked about the self-immolations in the interview recorded before his Hawaii trip. He asked Beijing not to take a "self-centered and short-sighted" approach but a "holistic view" in dealing with the Tibetan question. He did not elaborate on the approach but said Chinese authorities should not use its immense power to "control the people." This is "very short-sighted, very foolish thinking, totally lacking a holistic view." The latest self-immolation occurred on March 30  when two monks set themselves on fire in Barkham (in Chinese, Ma'erkang) city in the Ngaba (Aba) Tibetan Autonomous Prefecture in Sichuan. The two subsequently died of serious burns, bringing to 25 the number of self-immolating Tibetans who have succumbed to their burns so far. Chinese authorities have labeled the self-immolators as terrorists, outcasts, criminals, and mentally ill people, and have blamed the Dalai Lama for encouraging the burnings which run contrary to Buddhist teachings. The self-immolation protests have resulted in a Chinese security clampdown in the Tibetan-populated provinces of Sichuan, Qinghai and Ganzi, as well as in the Tibet Autonomous Region.